At North Hills Family Medicine and Pediatrics, we believe that vaccination is a safe and effective method to prevent the development of serious diseases in your child. Although it has been presented in the media that there is a link between certain vaccines and the development of autism, this is simply not true. 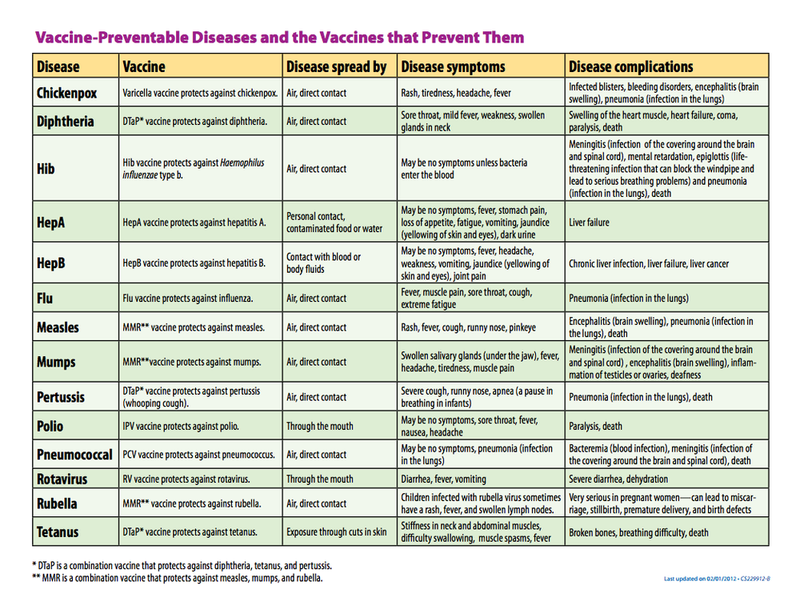 Every year the Centers for Disease Control and Prevention (CDC) provide updated recommendations, taking into account all available research data with regards to the safety and effectiveness of vaccines. The most common problems with any immunization are pain at the injection site, a mild fever, and a local allergic reaction with itching and swelling at the injection site. Not only is vaccination recommended by the American Academy of Pediatrics (AAP) to help protect your child, but it can also prevent the spread of various diseases to other people, including pregnant women and infants who are too young to receive all their vaccinations. Therefore, although whether to vaccinate your child is your choice, North Hills Family Medicine and Pediatrics believes all children should be immunized to protect everyone from these dangerous diseases. We follow immunization guidelines form the CDC & AAP. Please feel free to view or download information.